The repair and upgrade of architectural features for all sizes of properties offer great quality and excellent value. 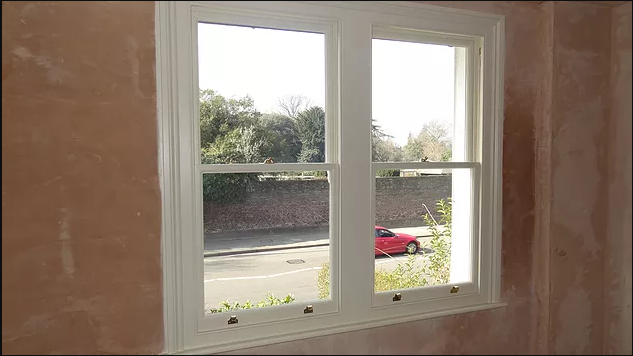 Sash window refurbishment is a popular option as it assists in maintaining the condition of such structures and will assist in supporting the longevity of these features. A professional approach includes a complete examination of the framework and functionality to ensure that such traditional architecture is restored and preserved. The classic sash window has remained one of the most timeless architectural styles that was developed in the early 17th century. Most windows are designed with traditional timber offering beautifully crafted features for many different types of buildings. Unfortunately, these structures are subject to natural decay and deterioration that lead to a number of functional problems and an unattractive exterior. Damages to these styles of windows include wood rot, paint flaking, rattling noises, and drafts. To restore the pristine condition of such architecture, there is the option to have it refurbished and restored. If you are looking to replace these structures, it can prove immensely expensive, and requires consideration for repairs to keep it in suitable working order while enhancing appeal. Rail problems, damaged bars, and broken glass can prove a nightmare for property owners to tend to, however a refurbishment offers the greatest number of benefits before the costs of a replacement. When installed by an experienced craftsman, these features can have longevity of up to 15 years with regular maintenance. General deterioration and exposure to the elements are the main factors responsible for the degradation. The repair of windows will require a complete professional assessment of the remaining wood. Areas of rot and weakness can be addressed with the necessary tools and enhancement methods, while most architecture will prove structurally sound and prevent against a replacement. These additions can be improved in terms of style and colour to fit with the modern home and its overall appeal. Functionality will be examined including the weights that are located within the frame for smooth operation and possible repairs. The correct balancing measures can be put in place to protect the windows from sticking or working in a poor manner. Components that are decayed and worn will have to be replaced and designed to fit within the new architecture that can minimize and eliminate future rattles or drafts. Sash windows with the correct levels of maintenance can improve energy efficiency within the property because it protects against the loss of heat and will be able to open and close in a smooth manner. Glazing procedures may be beneficial as it as it further supports the management of utility bills decreasing reliance on heaters and air conditioners. A reduction in drafts and air pockets with the necessary sealing can decrease noise pollution. Having the traditional sash windows refurbished can assist in enhancing the appeal of this classic design including smoother functionality. The architecture may be upgraded and improved without having to lose the character of these types of structures. Modifications can maintain the original appeal while ensuring that all features remain fully operation for years to come.